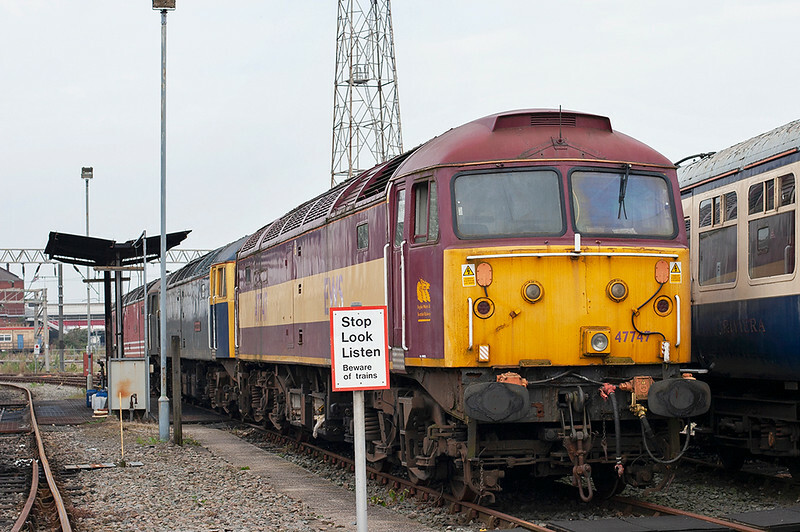 This is edition 26 of the Railwaymedia blog, a warm welcome as always. Well, the biggest news of the last week that will affect myself has been the announcement ﻿that my current employer, Virgin Trains, has lost its bid to continue to run the West Coast Main Line franchise and, from December, First Group will take over. There's much speculation as to the effect this will have on both services and jobs, but I guess only the bid team of First Group know the answer to that. Their official announcement regarding the franchise and their plans can be found HERE. Certainly Virgin Trains have transformed the West Coast in the last 15 years; from an enthusiast point of view I miss of course the old engines, but being able to get to London or Glasgow in only about two hours certainly enables me to get round the country more photographing (and drinking). 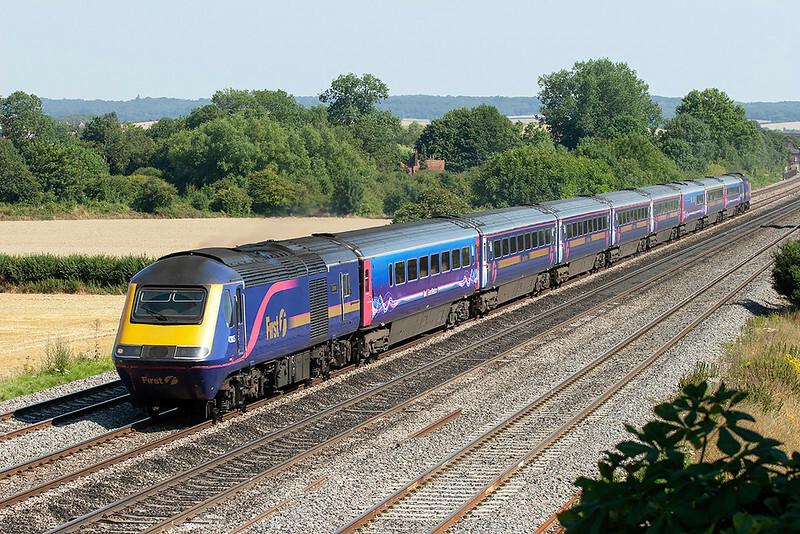 Alas I can't see First drafting in any of the HSTs they own outright onto the West Coast. After last week and the family holiday to Wales, I had a couple days back at work before a brief trip to Belgium. On one of those days working I had to go down through the former Crewe Diesel Depot, unusally in daylight as I'm normally there working nights. I took the opportunity to get shots of the two rakes of locomotives that are currently stabled in and around the former fuelling point. 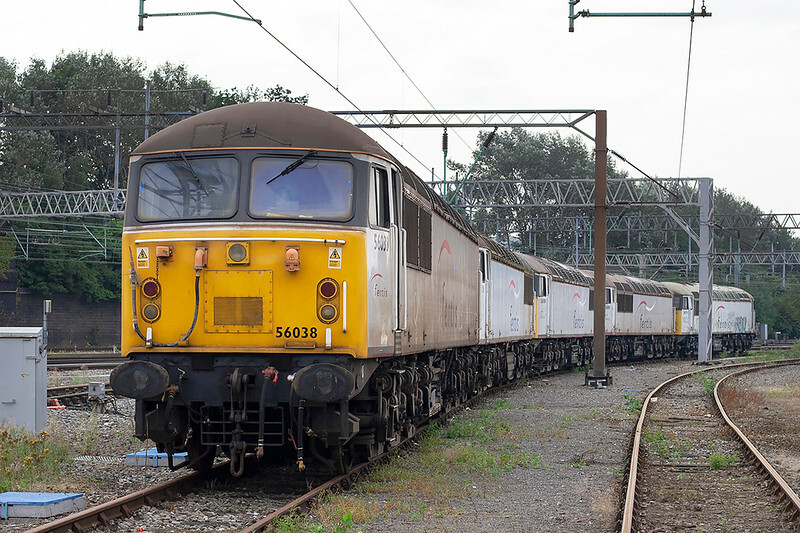 About two months ago a rake of five class 56s were moved out from the old workshop area to a position by the main line. These are 56031, 56038, 56069, 56074 and 56106. I assume these have been purchased off DB Schenker, but I've been unable to find out who by. The other 3 are class 47s, two of which (47769 and 47848) are owned by Riviera Trains and the other, 47747, apparently by DRS for spares. According to WNXX 47747 hasn't been operational since at least 2004. The Belgium trip was the first time that my wife and myself have been away without the children for at least 6 years, if not longer. Certainly since our youngest was born. It was therefore not primarily a photographic expedition, though I did of course manage to get a handful of shots over the 2 days! One aim for me was to get shots of De Kusttram ('The Coast Tram') which allegedly is the longest tram line in the world at around 68km. It runs almost the whole length of the Belgium coast from De Panne near France to Knokke near Holland, and takes 2.5 hours to complete the full distance. Apart from seeing the trams, we had visited Oostende briefly in order to check out the suitability of the seaside town for a possible future visit with the kids. There are plenty of shops and a massive beach, so I suspect I may be getting some more shots of this tram route in the next year or two! I spent a few days in Belgium last October in order to get pictures of their class 23 and 26 Electric Locos which were due for withdrawal. 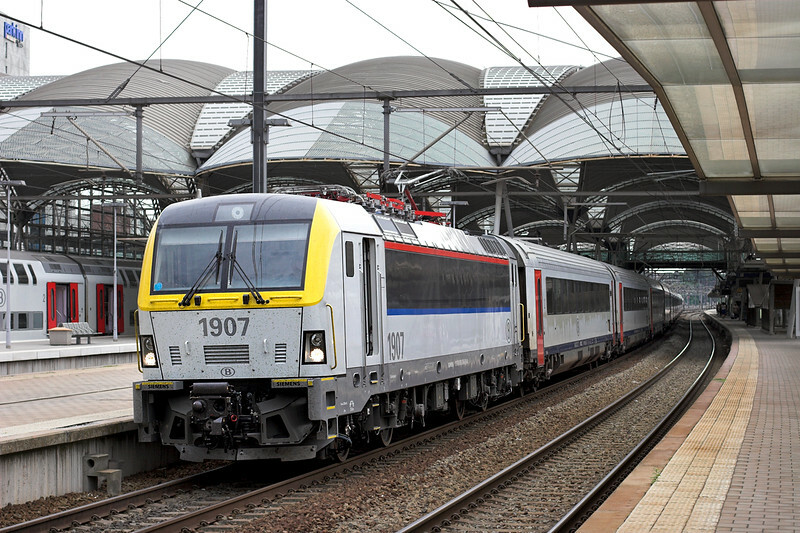 SNCB had ordered 120 new Eurosprinter Engines from Siemens in 2006, but protracted testing meant only a handful had been passed for service by the end of last year. Since then they have obviously been very busy delivering them as our engine back from Oostende was a very new looking number 1907, and they have replaced not just the elderly class 23s and 26s but have also displaced most of the 21 and 27 class locos onto just peak hour diagrams. Also being tested and delivered to SNCB is a new fleet of Desiro 3-car units. There is a massive 305 of these on order, which presumably will mean the total replacement of all the older classes of Electric Multiple Unit currently being used on both local and longer distance services. I only saw 3 of the new sets on test this week so if you want pictures of the older ones there is still a little time left. I got Gill to try some Leffe beer whilst I did my best to work through some of the extensive beer menus that can be found in most Belgian restaurants and bars. Like my last trip we stayed in the Ibis Budget Hotel right next to Leuven station; it is basic but cheap and convenient. If you stay there take the short trip on the train to Aarschot and have an evening in one of my favourite places, Brasserie Demervallei, located opposite the station. They only stock about 450 different bottled beers. I need to take this opportunity to formally close down my '92012-watch' section as, so I'm told, it was hauled from its 5 month long resting place at Shap in the early hours of the 16th of August to Warrington, presumably for onward movement to Crewe Electric Depot. I'm not sure when I'll be heading north towards Carlisle to confirm this is true, but I shall try to keep an look out for it. 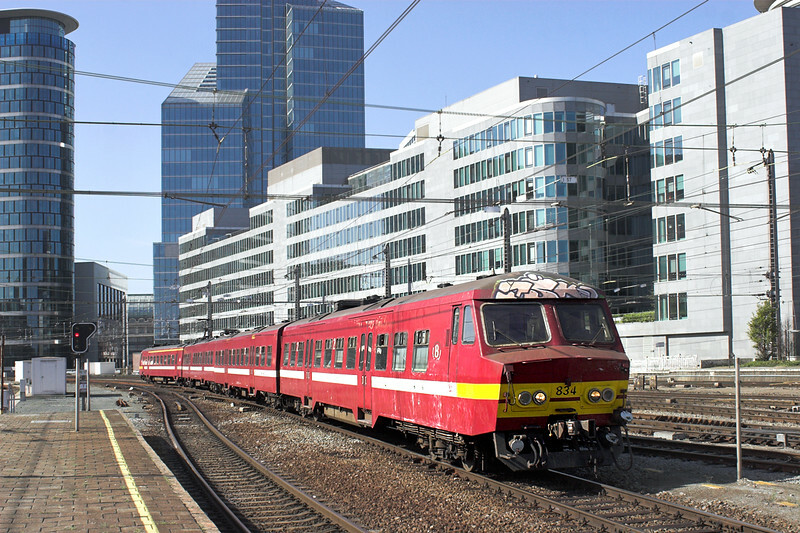 Thanks again for reading, I hope I've inspired anyone who has yet to visit the railways of Belgium to go whilst theres still a some of the old stock left. Like most of Europe it is a far more relaxed than Britain and even on the central stations of Brussels you are unlikely to get hassle from over-officious staff. One 'disease' they seem to have caught from us though is the policy of leasing coaches rather than the state railway actually owning them. This is inside of one of the coaches used on the main Inter-City Oostende to Eupen route. 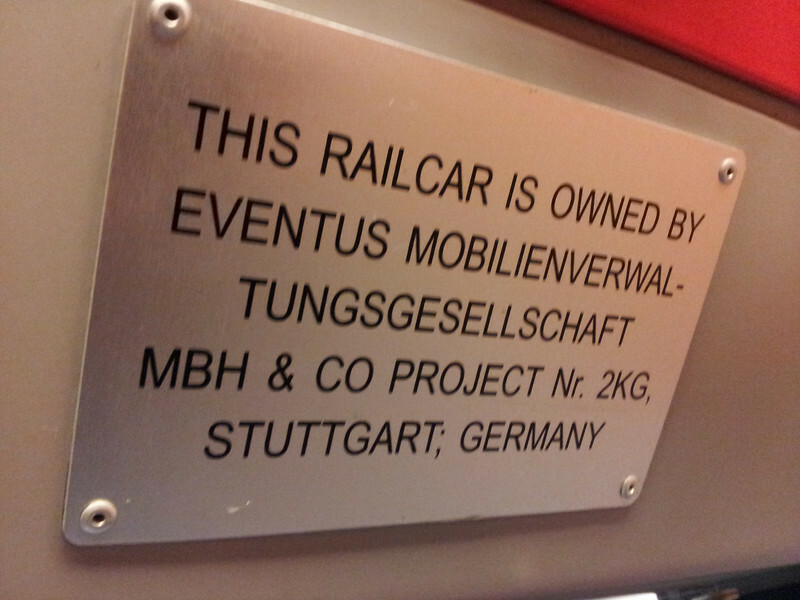 Those Germans seem to get everywhere! Bye for now. Once again a warm welcome to the Railwaymedia blog, this being edition number 25 and covering a quick résumé of a few days in Wales based near to Porthmadog. With the exception of the photo I took in Caernarfon and mentioned in the last edition of this blog, I had not previously covered any of the little railways, nor even the 'main line' to Pwllheli, that are located on the Cambrian Coast; indeed I haven't visited the area since childhood, so despite it being a family holiday I managed to escape as much as I could to make up the defecit. In the end I managed a good range of shots from 4 of the railways. The first day I covered both the Welsh Highland and Ffestiniog Railways which are now operated by the same organisational structure. 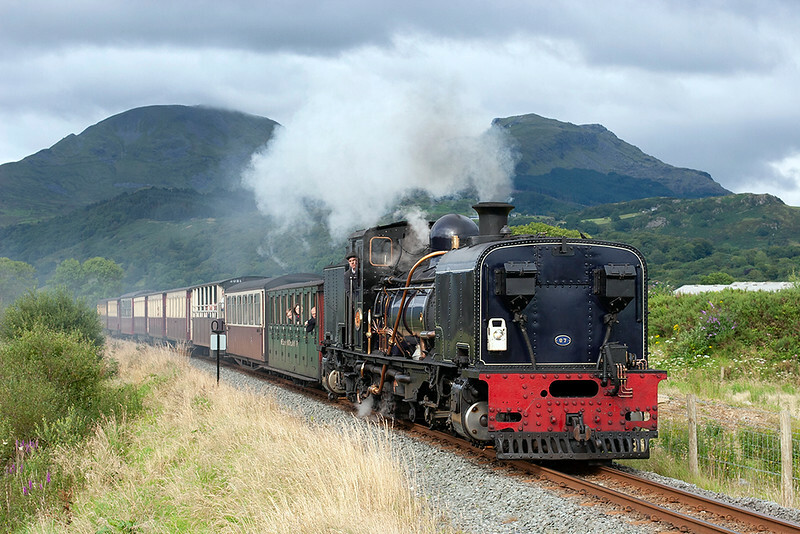 Although the Welsh Highland's Garrett 2-6-2+2-6-2 locos (numbers 87 and 143) seem to be the mainstay of that route, summer peak time extras to Rhyd Ddu utilise Ffestiniog engines, the morning working being diesel hauled, 'Vale of Ffestiniog' seen here near Nantmor. This day was largely dull, though there were one or two good spells of sunshine later on. 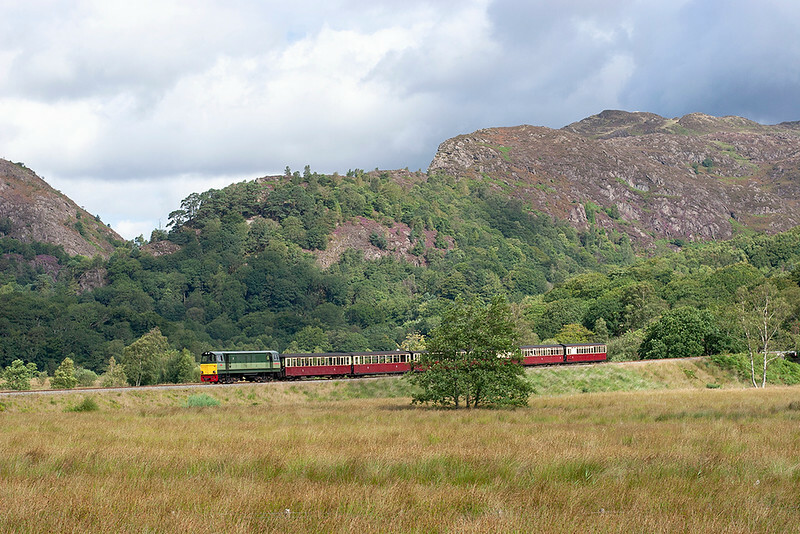 The Welsh Highland line seems far easier to find locations to get good photographs as it is a lot more open and less tree-lined than the Ffestiniog, although there are far less trains on it. 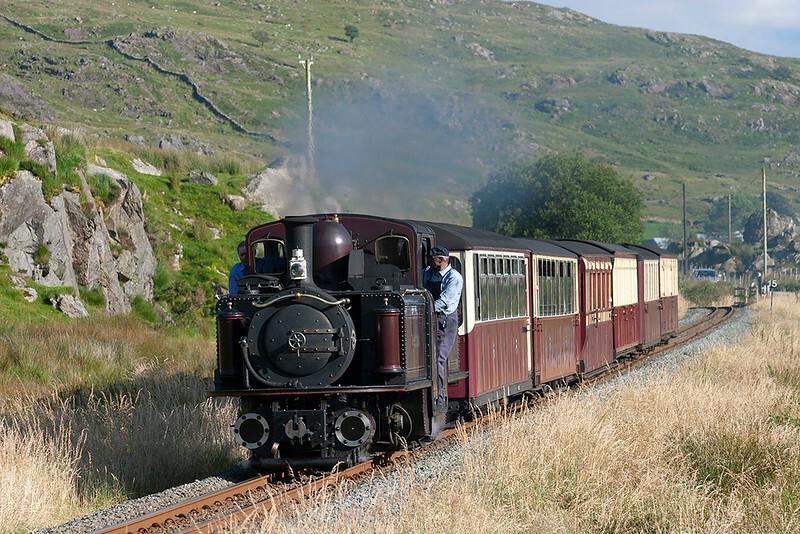 As mentioned in the last blog there are only 3 trains each way over the whole length of the line as against the Ffestiniog's 7. 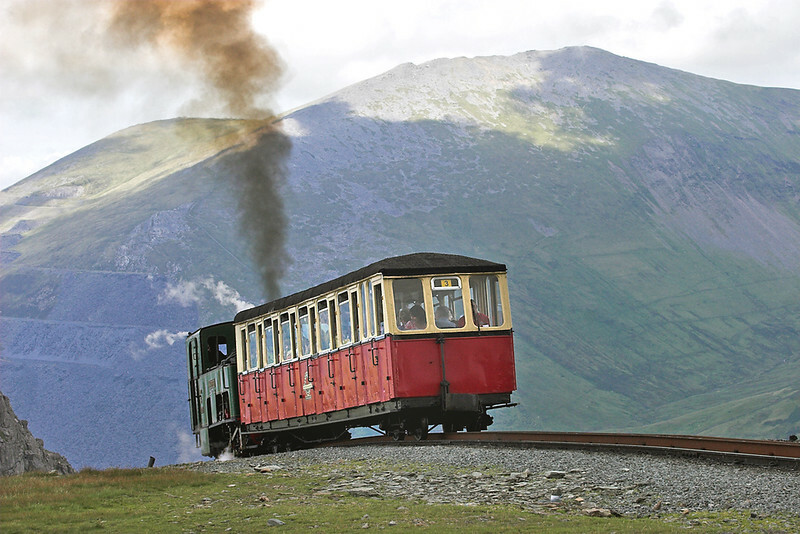 The timetables, and other information, can be found on the Festrail Website. I didn't though to be honest venture far up the Ffestiniog, so there will be I'm sure good shots available towards the Blaenau end of the line; this shot of the Lynton and Barnstaple replica loco 'Lyd' at Penrhyndeudraeth was the most easterly point I explored. More to do another holiday! After a morning spent photographing and an afternoon back with the family, with the light getting better, I nipped back out at teatime. I had a quick visit to Boston Lodge works before going a few miles up the Welsh Highland to Pont Croesor for a shot of the last Caernarfon to Porthmadog train, hauled by Garrett 87. This is a useful location where a 'B' road runs parallel for about half a mile. There were 7 individual trains out on the day, three out of four of the currently operational steam engines and all four diesels. I seemed to manage to time it badly for catching the steamers going uphill, though I did managed a few shots at Clogwyn (the 3/4 point) as I went up. Despite the mist covering most of the top part of the mountain it was still well worth the effort to get to the summit, both to be able to say I made the ascent, but also as on the return I got the shot I really wanted at Clogwyn, in reasonable light, of number 6 starting out the final bit of the climb. 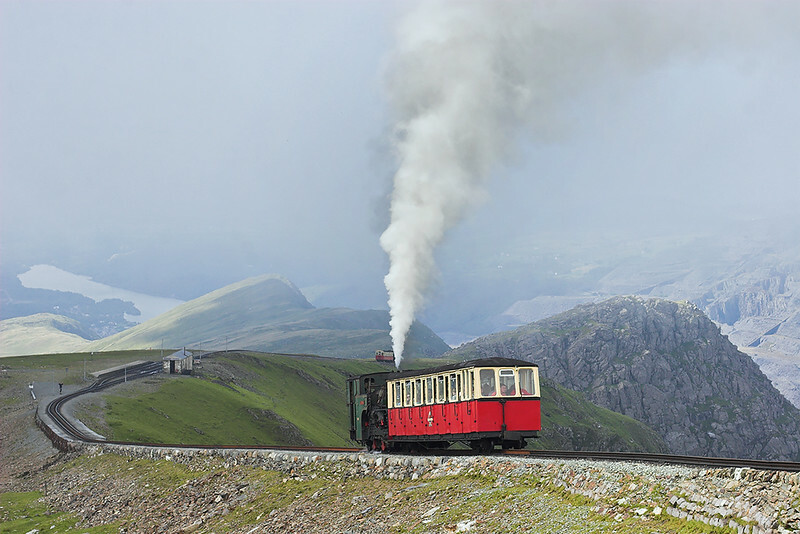 If you are interested in looking at them, the rest of my Snowdon pictures, and those of the other railways featured in this blog, can be found HERE in my new 'Heritage' section of my site. Day number 3 and I took the family to Barmouth for the morning. 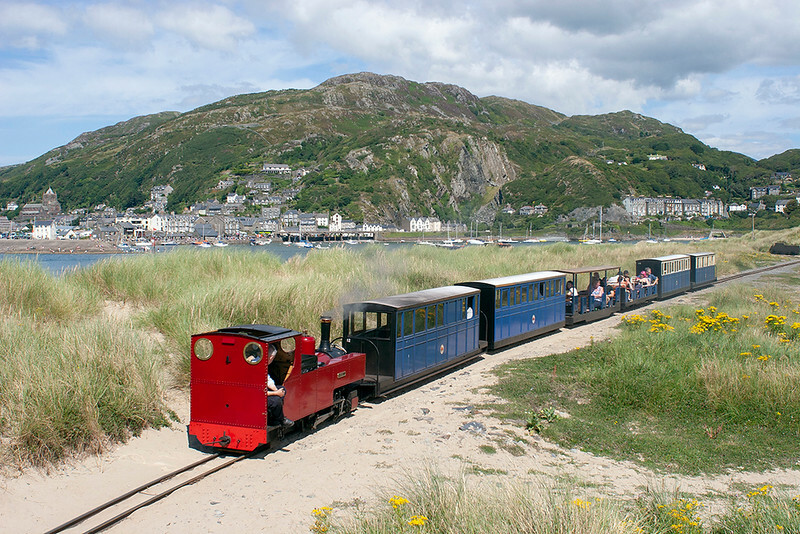 Again it is many years since I visited the place but knew I could safely leave the family wandering round the town, the amusements and the beach whilst I nipped across on the small Ferry to get a few shots of the Fairbourne Railway. I even managed some shots of class 158s on the Cambrian Coast line whilst I was there! On my return from Snowdon the previous day I had gone for, but missed out on, a shot of the last Welsh Highland service to Rhyd Ddu due to some severe late running, it turning out to be over an hour late. With beautiful evening light again this particular evening, and the sun still being high enough to reach into the pass, I went to Aberglaslyn to get the classic shot of a train in the gorge, this being the Ffestiniog's 'Merddin Emrys' on the 1645 from Porthmadog. This is a spectacular part of the line, as can be seen. 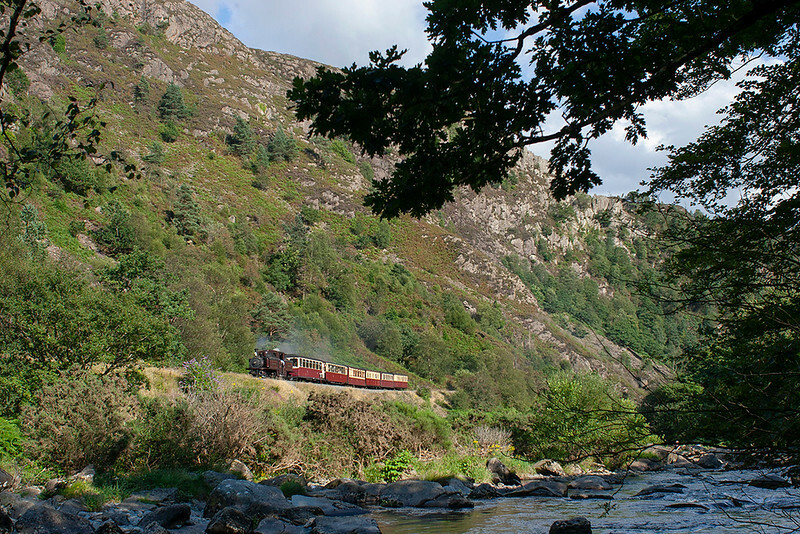 I waited in the gorge for Garrett 87 to come the other way, which was booked to pass this working at nearby Beddgelert, and then drove up the valley to Rhyd Ddu where I easily beat Merddin Emrys again for the final shot of the day, and holiday. 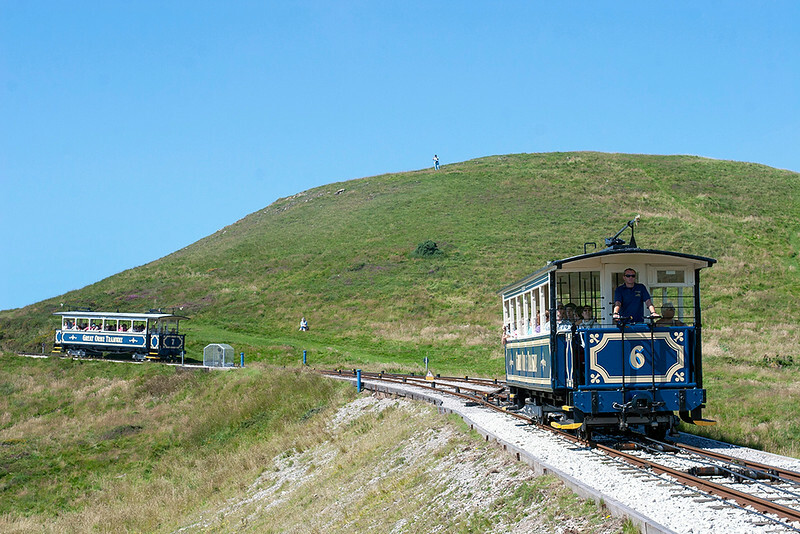 Well, it wasn't quite last shot of the holiday as I took the family via Llandudno on the way back and, whilst they went for a cable car ride up the Great Orme, I took advantage of this and the good weather to get a few shots of the tramway once again. During previous visits, both in 1996 and the week previously, I had only covered the bottom section from Victoria Station up Old Road, so by parking the car at the top I could easily walk down and get pictures of the two Upper Section cars, and also the top bit of the lower section. In fact I ended up almost walked right to the station at the bottom anyway, but if I guess if I can get up Snowdon then the Orme is easy! I've tried to be as concise as possible with the description of the weeks wanderings, whilst still giving a taste of what photographic opportunities there are on the lines concerned, and indeed what trains can be seen. It is certainly an area I need to visit again as there are plenty more little lines dotted about to cover. The entire weeks pictures can be found in my Trips 2012 section. As this edition has been about Wales I'll leave you with a picture of some sheep. Bye for now! Hello, and a welcome to edition 24 of the Railwaymedia blog. With a few days in North Wales on a family holiday due this week, it was a coincidence that last week I made a visit to the same area. Regular followers of the blog will note my attempt to get round﻿ all the Wetherspoons pubs. So far I'm up to 238 out of 862, so I've a long way to go yet! For any similarly sad individuals who fancy this challenge, a really good list of them all can be found HERE. There were still 4 I needed to visit at the western end of the North Wales coast, so the steam hauled 'Welsh Mountaineer' was an excuse to mix a little drinking with some photography. 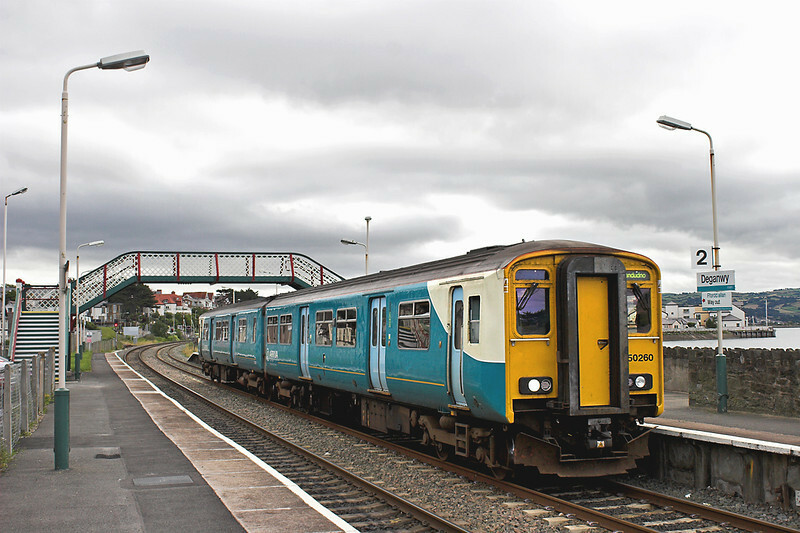 I started off catching the Llandudno train to Deganwy, a request stop midway along the branch from Llandudno Junction. I hadn't previously taken a picture of the signal box nor the station there, so the half an hour wait for a Blaenau Ffestiniog train was ideal for this purpose. The Conwy Valley line is a branch I have never ever photographed before, indeed I've not even travelled on it since childhood, so I wasn't familiar with any locations. Having a pictorial book about the line at home helped, though I didn't know how much any of the locations would have changed. The book appears to be out of print but if you can get hold of a copy it is an excellent publication. One location from it that caught my eye was a bridge over the river south of Llanwrst. It looked about 2 miles from the station on the map so, given the weather forecast, I was expecting to get wet. It turned out though that the morning was actually quite bright meaning the shot I had seen in the book was wrong for the light. 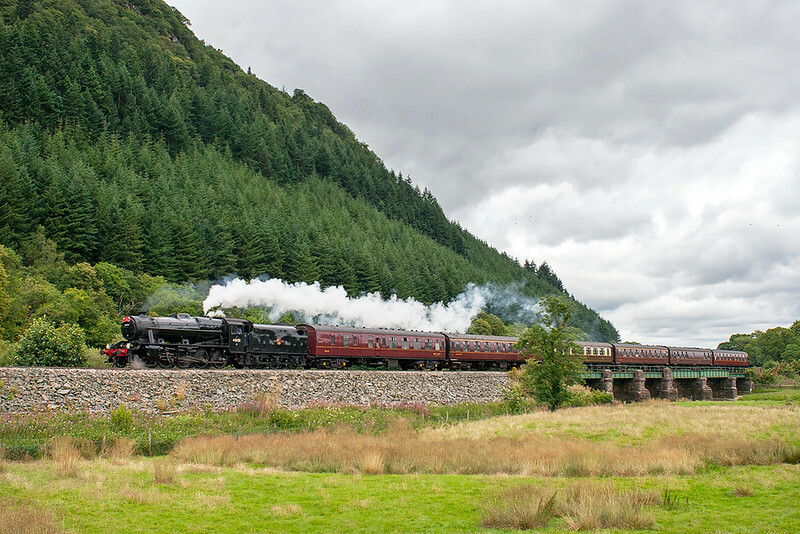 I had plenty of time though to cross to the other side of the line between the southbound unit passing over and it and the steam special coming up the valley. With the morning taken up basically getting this shot, I planned to spend the afternoon visiting the Wetherspoons I needed in Colwyn Bay, Llandudno, Bangor and Caernarfon. I required a bus ticket to reach Caernarfon, and anyway it was 3 hours until the next train, so I wandered back to Llanwrst for the bus to Llandudno. 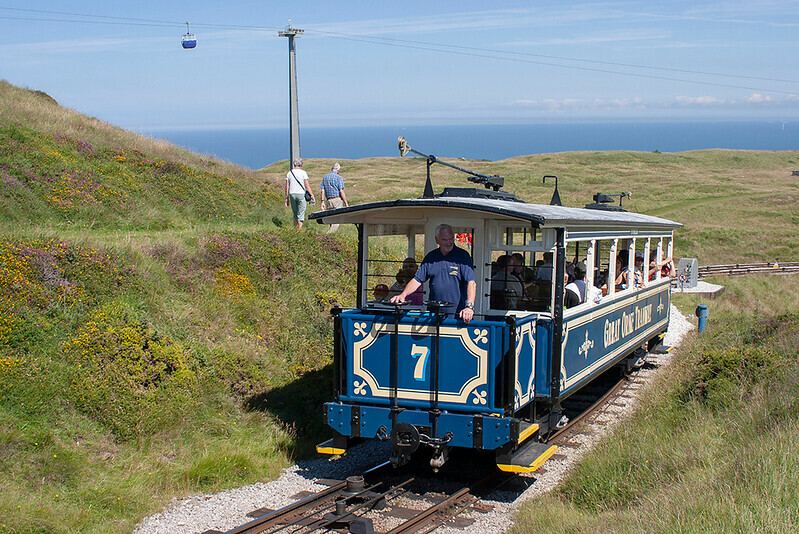 I had intended to go up the Great Orme tramway but noticing a good connection at Conwy onto a Holyhead train, I changed plans and went to Caernarfon first. The bus to there stops more or less outside Bangor station and I only had a few minutes to wait, so it worked out well. 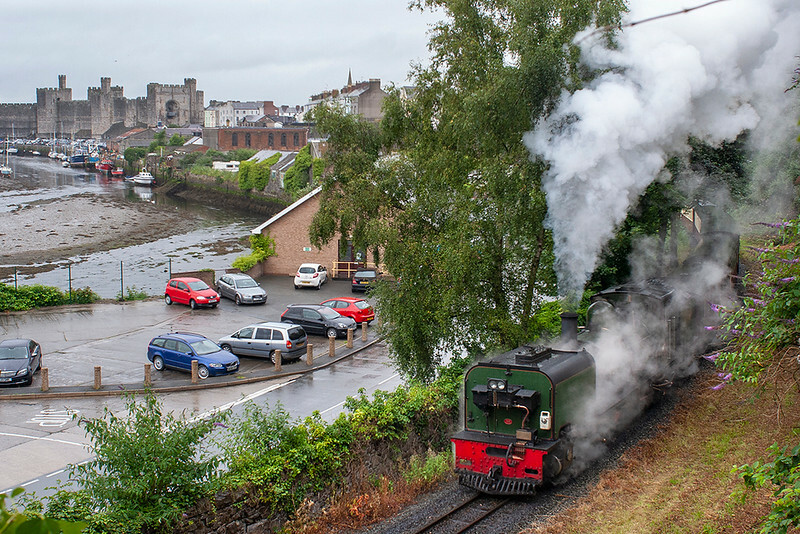 Even better was as I was finishing my beer in Caernarfon I looked up the Welsh Highland Railway timetable and noticed a departure in 10 minutes. There are only 3 through trains daily from Portmadog, even in mid-summer, so despite the now torrential rain I made the effort to try and get a shot of one leaving. Not a fantastic shot, but the engine is beneath all the steam somewhere! 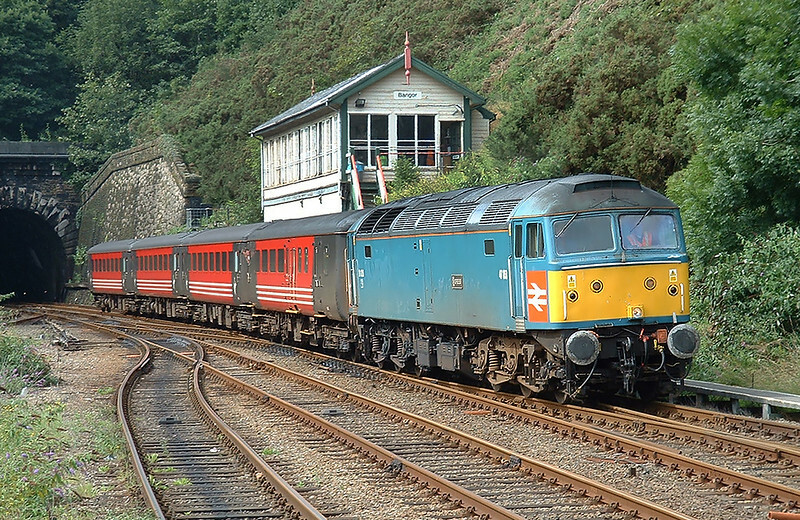 So back to Bangor and it turned out I had already been to the Wetherspoons there back in 2004 when the Manchester to Holyhead was still loco-hauled. I suspected this was the case but couldn't say for definite until I walked in the pub. I'm guessing it was on the day I took this picture of 47853. Having just missed the bus to Llandudno, a quick change of plan meant a train instead to Llandudno Junction for a bus to the town. I actually was overtaken on the bus by the one I missed at Bangor! 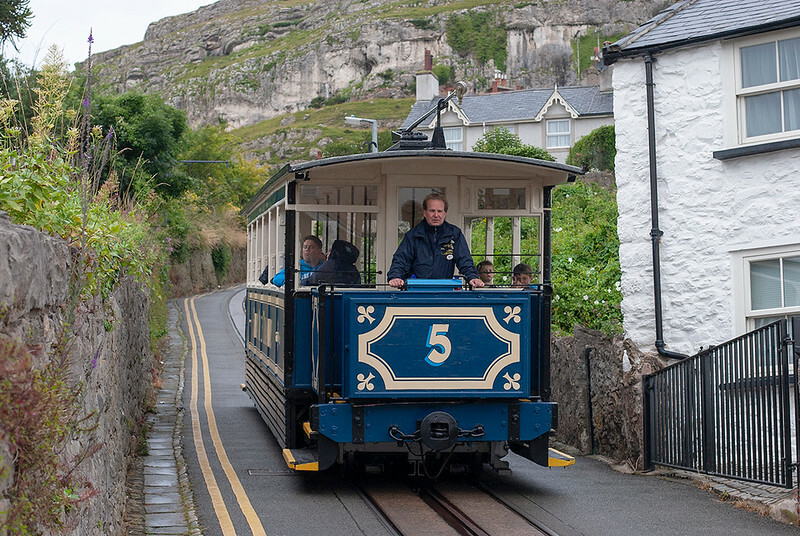 It was almost 6pm when I got to the Great Orme Tramway so managed just a shot of the last departure and arrival from the Victoria station at the bottom of the lower half of the tramway. 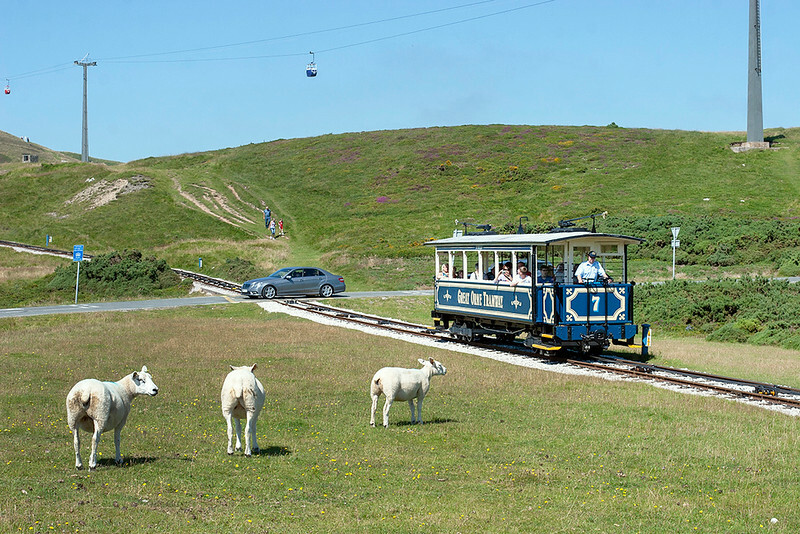 The Great Orme Tramway is rope hauled and operates in two halves, each with two cars, there being a passing loop at the midway point on each section. How it works exactly is detailed on their website. The bottom section contains the only bit of cable-worked tramway in Britain operating along the road as it climbs up Old Road. Lower section tram 5 is seen below descending to the terminus. And so it was just a matter of the two pubs in Llandudno and Colwyn Bay before heading back. A long day with not too many pictures, but I managed what I wanted to achieve. 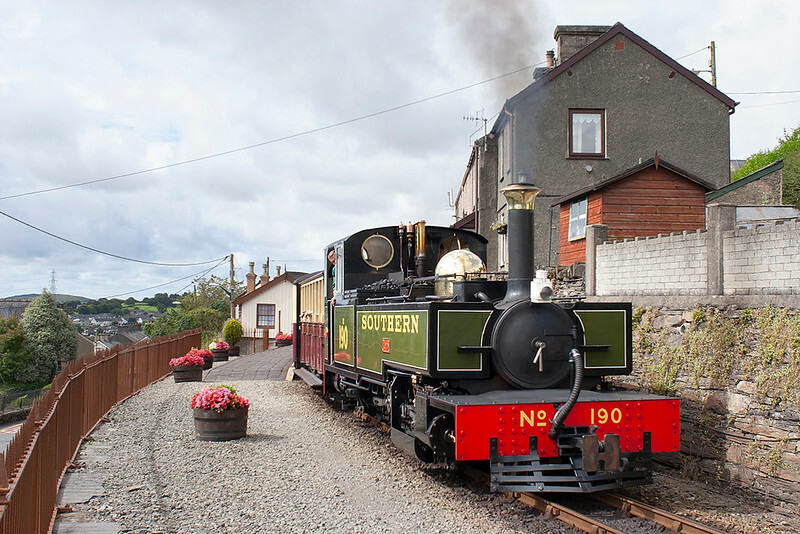 As mentioned, the next blog will no doubt contain details of more pictures from North Wales, where I hope to get some shots of a few of the Great Little Trains of Wales, all of which I require to photograph. Once again thanks for reading, all the pictures from the day detailed above can be found HERE. I have changed the way my galleries display so any feedback about the new 'journal' format would be very welcome, whether you find the new style an improvement or not. With the Olympics in full swing in London, and elsewhere, my initial reluctance to get excited about it is slowly changing given our recent successes in the medal tables. 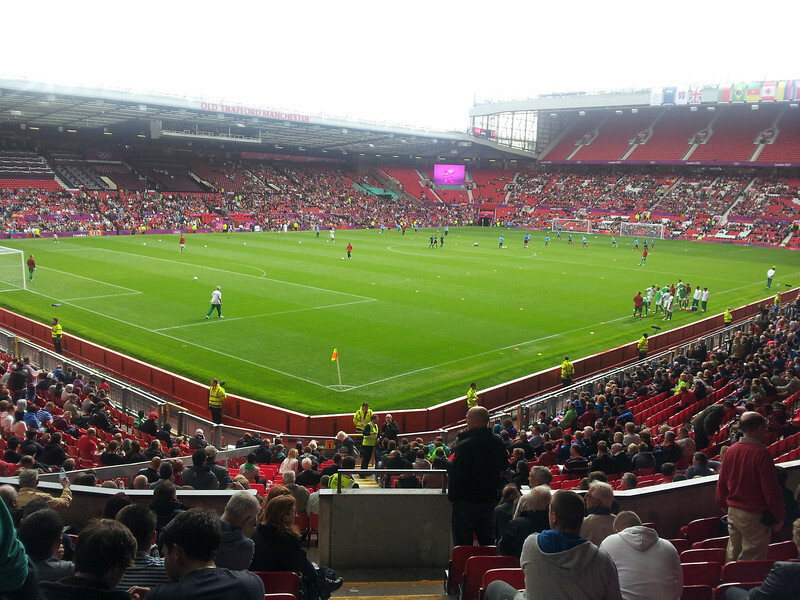 Having been given some tickets to watch the football at Old Trafford I went to watch Spain play Morocco. What I expected to be a one-sided affair turned out to be a pretty even match, and I was willing Morocco to win by the end, although it ended 0-0. Last time I watched a football match it was Manchester City at Maine Road and that's been closed almost 10 years! Please look out for edition 25 in a week or so, bye for now.